The feeling stepping into this room is sheer delight! You scream your excitement and that you are just in awe of what you see! It is your childhood fantasy come true! 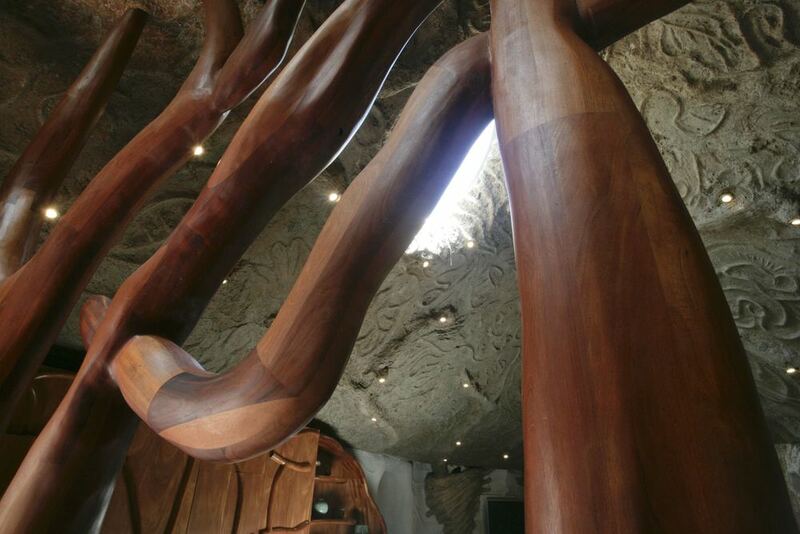 From the spectacular tree form sculpture to the two story artistic ceilings and the custom tile walls you know this is a place to take it all in and enjoy! This room is just the perfect place to entertain guest with the second kitchen and beautiful cabinetry! It is the perfect place to play a piano for yourself or your guest in this room…you feel the sound coming from your piano is like you are in Carnegie Hall in New York City! You can see the stars from the round sky lights at night adding to the total enjoyment of this special property. The glass doors open to the hot tub and patio with a million dollar view of the valley and waterfall! You can just picture yourself enjoying this room day after day!